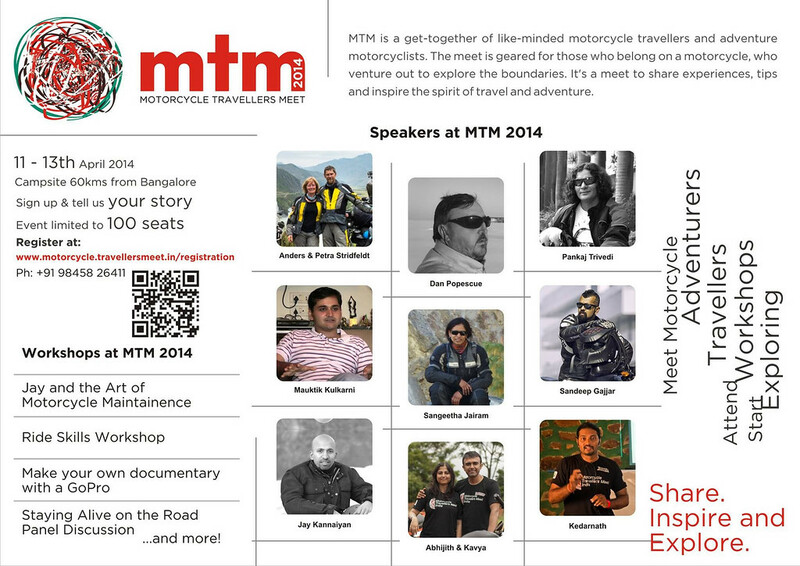 Share the flyer and let’s have a full house at Saurabh’s motorcycle-themed cafe! 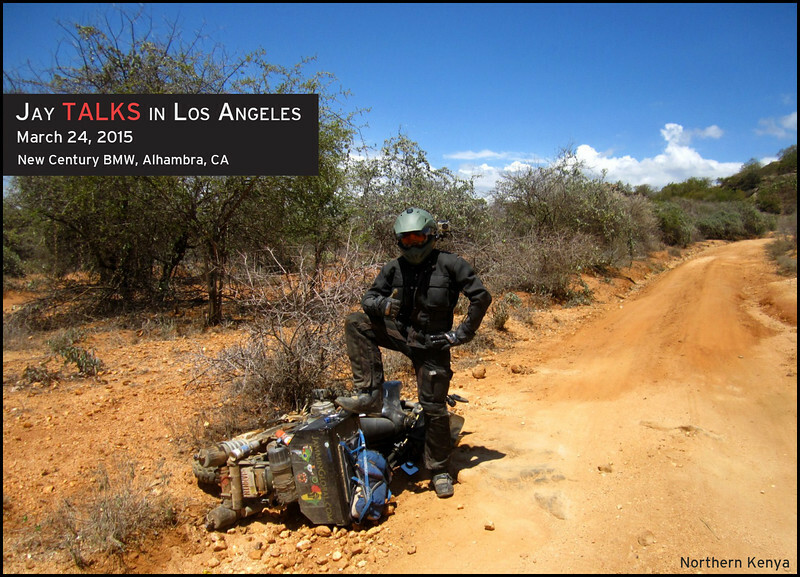 Invite me to come and present about my trip at your company, organization or educational institution for a reasonable fee. 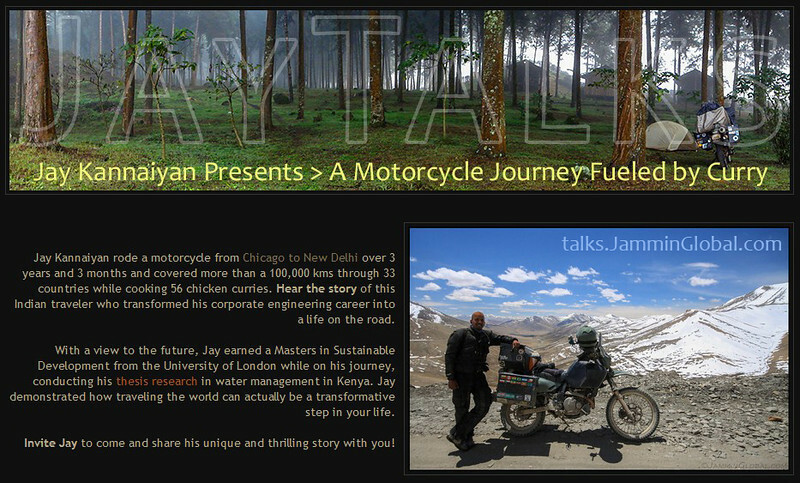 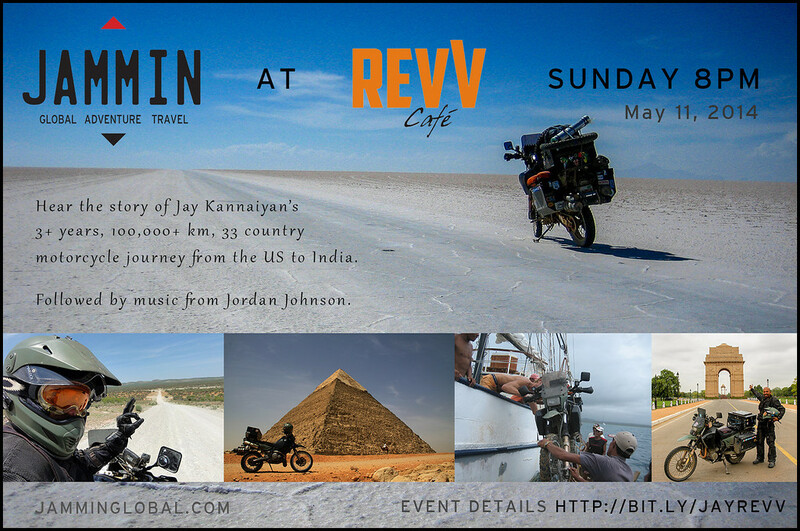 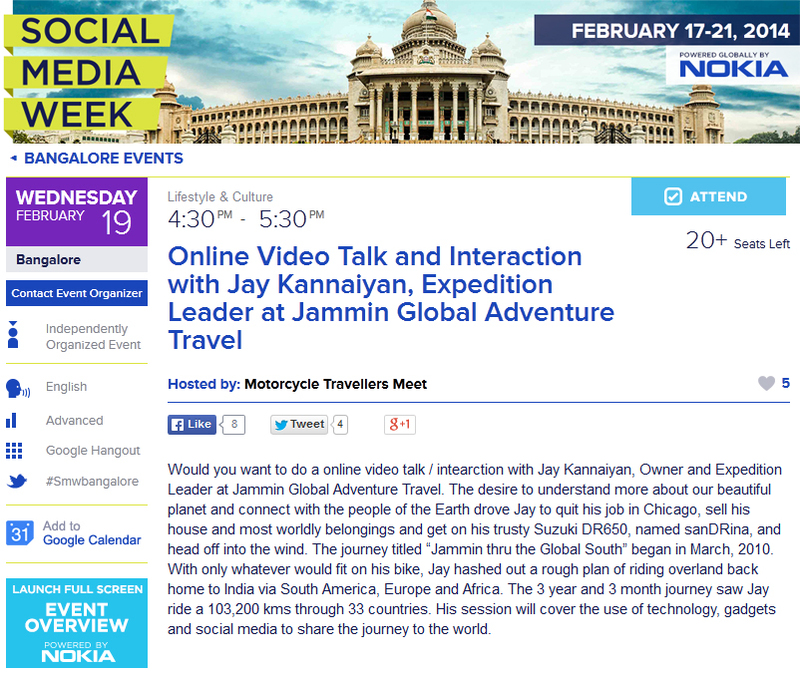 The presentation features stories, photos and videos from my journey through Latin America, Europe, Africa and India.